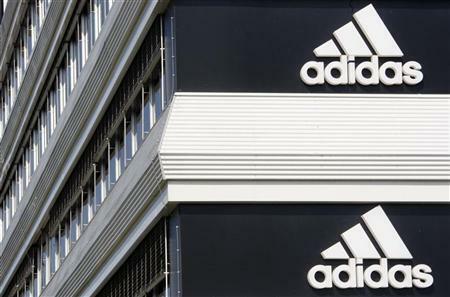 LONDON (Reuters) - Jupiter's European Special Situations Trust has bought shares in sports goods maker Adidas and builder CRH and is waiting for first-quarter results to decide whether to buy more cyclicals. Cedric de Fonclare, manager of the 340 million pound portfolio, told Reuters that he has been moving his fund towards large cyclical stocks. Historically the fund has been overweight in defensives like healthcare because these companies tend to be more resilient in a general economic downturn, but de Fonclare has been taking profits out of this sector to fund his cyclical positions. The move into cyclicals will be a "gradual shift as markets are going to remain volatile. Sentiment is driving markets at the moment and I am sure we will have another go at testing the lows," said de Fonclare. "I am not keen to follow up just yet. However, the first quarter reporting season will be an opportunity to understand how resilient businesses have been in this challenging environment. This is the time where I expect to be more active in terms of adding to existing positions or new names," de Fonclare said. His preference is towards large cyclicals as access for credit is much more expensive and more difficult for medium size companies than large caps. Medium-sized companies also tend to be generally more economy-sensitive, he added. Cyclicals sectors he currently favours in his portfolio have been consumers, technology and construction. Last month in the consumer cyclical area he added Adidas (ADSG.DE). De Fonclare said it is a well managed business and from a valuation point of view it is trading at a significant discount to U.S. peer Nike (NKE.N). The company also has a very attractive foot print in emerging markets and leading positions in India and China which in the long run he said should be good. In the construction sector, he bought CRH (CRH.I) towards the end of last year. "The group is well placed in the U.S. and should be a beneficiary in terms of the increase in capex from the government stimulus packages. Its peers Lafarge (LAFP.PA), Cemex (CMXCPO.MX) and Holcim (HOLN.VX) have had quite stretched balance sheets and some of them have announced rights issues. "I think it is likely these groups will be forced sellers of assets and CRH with a strong balance sheet will be in a very good position to acquire some assets which are not coming very often on the market." In the technology sector, he added SAP (SAPG.DE) towards the end of last year because it is a cash-rich company. "Being cash-rich really matters at the moment. We are in a time when earnings are going down and it is likely there are going to be more and more rights issues. You just want to focus very much on the strength of the balance sheet and the cash flow," he said.